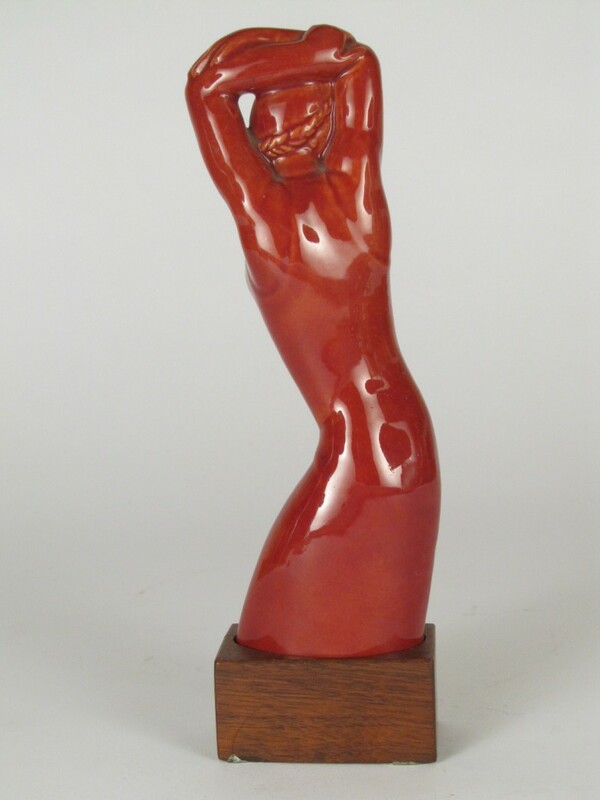 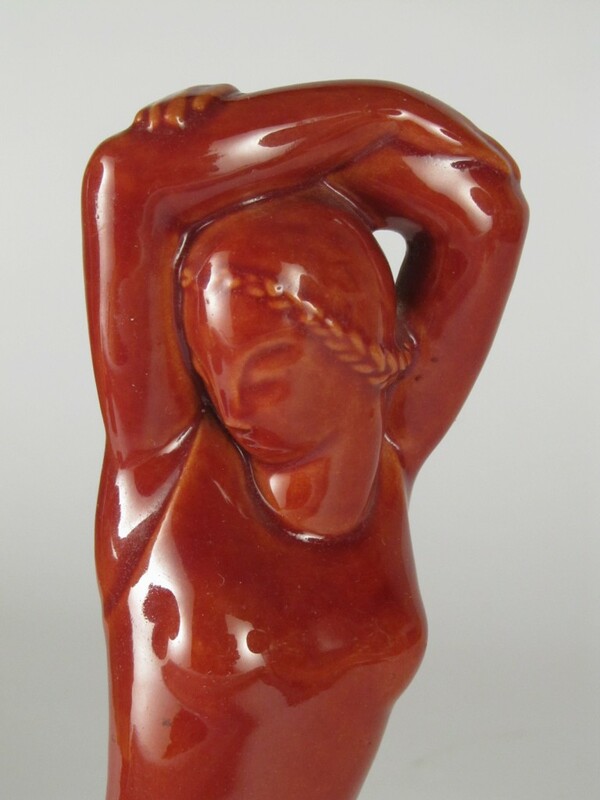 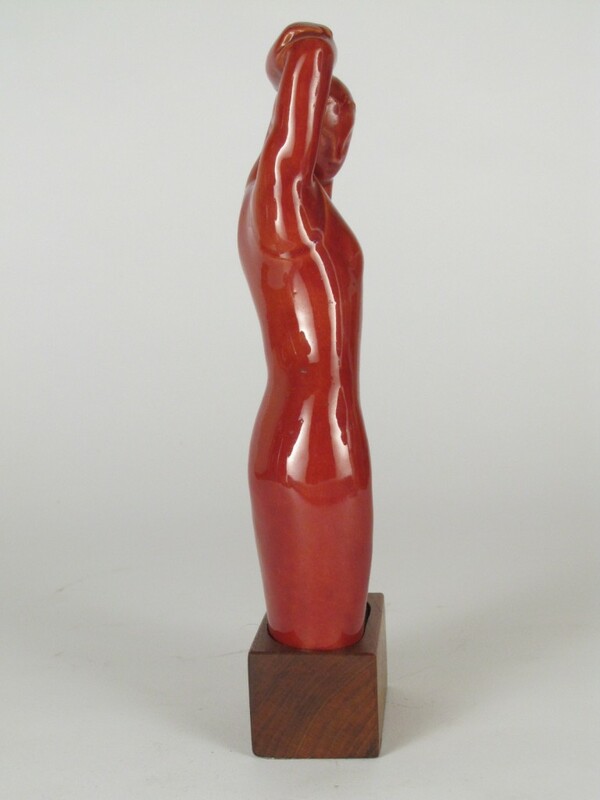 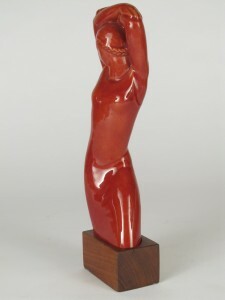 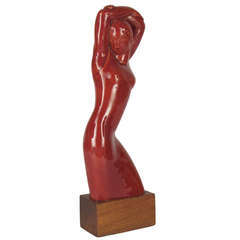 This lovely art deco period figure is by San Francisco sculptor Brents Carlton. 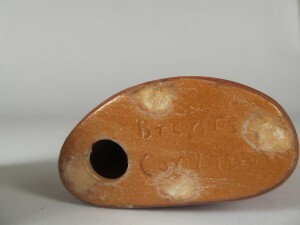 Wooden plinth is original to the piece, and when detached, the signature is revealed. 8″ H.